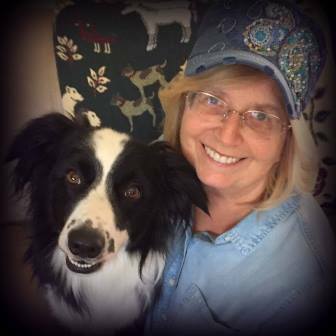 Elena Mikalsen’s Wrapped in the Stars Online Book Release Party! 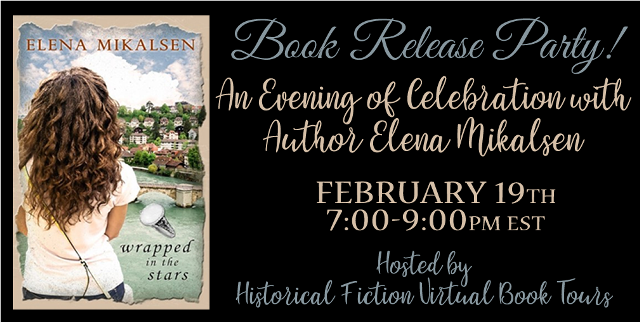 Join Author Elena Mikelsen and HFVBT for an evening of celebrating the release of Wrapped in the Stars! Struggling with guilt over her sister’s death and the stress of her medical residency, Maya Radelis runs away to Scotland. She gets lost in an alley, where a robin mysteriously appears, leading her to an antique shop where she buys a century-old moonstone engagement ring. After having a dream about the ring’s former owner, Maya quickly realizes that there is a mystery associated with the ring, and it was not an accident that she was led to buy it. The novel follows Maya from Edinburgh to Paris to Bern, and, finally, to New York as she discovers why she was meant to find the ring and learn about Rebecca, a young Jewish woman practicing medicine in Bern as the Great War unfolded and the Russian Revolution was planned in Switzerland. Maya especially wants to learn about the love story between Rebecca and Mark, a young surgeon from Ukraine, who Rebecca fought to keep safe during this turbulent time in Europe. While in Paris, Maya meets David Fischer, a fellow American, who helps Maya learn Rebecca’s story. The attraction between David and Maya grows, and they discover that their meeting was not by chance. As Maya returns to New York from her travels, Rebecca’s courage and strength help her face her own troubles. Elena Mikalsen was born in Ukraine and came to New York City as a refugee with her family at age 17. 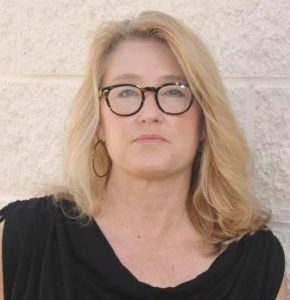 She is somewhat obsessive about travel, but, when at home in San Antonio, can be found browsing through bookstores or antique shops with her family and two adopted pups. 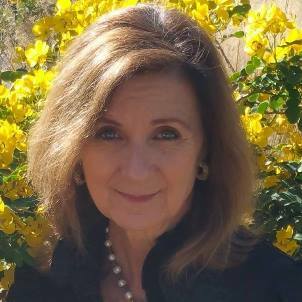 When not writing stories, she is a Pediatric Psychologist, working at a Children’s Hospital, helping children cope with chronic medical illness. 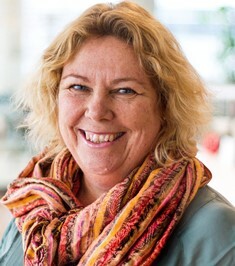 She actively blogs and gives interviews on issues related to child and adolescent mental health. WRAPPED IN THE STARS is her first work of fiction. She has two other works in progress. For more information please visit Elena Mikalsen’s website. You can also find her on Facebook, Twitter, and Goodreads. During the Book Blast we will be giving away a signed copy of Wrapped in the Stars and a Book Scents Candle! To enter, please enter via the Gleam form below. – Giveaway ends at 11:59pm EST on March 9th. You must be 18 or older to enter. Gilded Age New Orleans is overrun with prostitutes, pornographers, and a malicious Jack the Ripper copycat. As threatening letters to newspaper editors proclaim, no woman is safe from his blade. Desperate to know who murdered her favorite student, ambitious typewriting teacher Fanny Newcomb launches into a hunt for the self-proclaimed Irish Channel Ripper. Fanny quickly enlists her well-connected employers—Principal Sylvia Giddings and her sister Dr. Olive—to help, and the women forge through saloons, cemeteries, slums, and houses of prostitution in their pursuit. Fanny’s good intentions quickly infuriate her longtime beau Lawrence Decatur, while her reckless persistence confounds the talented police detective Daniel Crenshaw. Reluctantly, Lawrence and Daniel also lend their investigative talents to Fanny’s investigation. As the murderer sets a date for his next heinous crime, can Fanny Newcomb and her crew stop the Irish Channel Ripper before he kills again? The Fanny Newcomb stories celebrate the tenacity, intelligence, and wisdom of the dozens of courageous and outrageous southern women that Ana is proud to call friends. 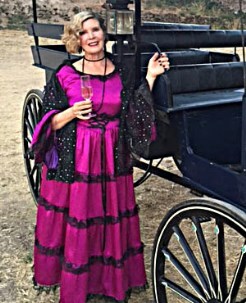 Although Ana, her husband, and their dog Traveller live in the beautiful Oakland foothills, she is forever drawn to the lush mystique of New Orleans, where Fanny Newcomb and her friends are ever prepared to seek a certain justice. For more information, please visit Ana Brazil’s website and blog. You can also find her on Facebook, Pinterest and Goodreads. During the Blog Tour we will be giving away a paperback copy of Fanny Newcomb and the Irish Channel Ripper! To enter, please enter via the Gleam form below. During the Blog Tour we will be giving away a paperback copy of By Love Divided to one lucky winner! To enter, please enter via the Gleam form below. 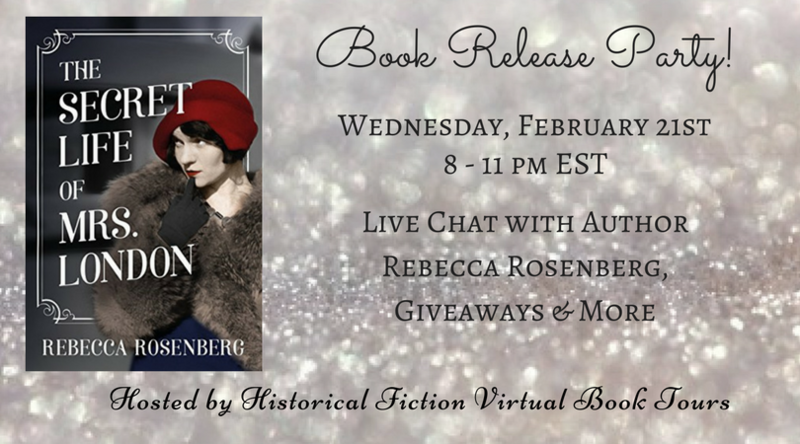 Join Rebecca Rosenberg & HF Virtual Book Tours on Wednesday, February 21st from 8:00-11:00pm EST to celebrate the release of The Secret Life of Mrs. London! Click HERE to RSVP, and save this link – it’s where the party will be happening! We’ll have a live chat with Rebecca and talk about the release & give away some prizes! Hope to see you all there! Christine Daaé sings with her violinist Papa in salons all over Paris, but she longs to practice her favorite pastime—illusions. When her beloved Papa dies during a conjurer’s show, she abandons her magic and surrenders to grief and guilt. Life as a female illusionist seems too dangerous, and she must honor her father’s memory. Concerned for her welfare, family friend Professor Delacroix secures an audition for her at the Nouvel Opéra—the most illustrious stage in Europe. Yet Christine soon discovers the darker side of Paris opera. Rumors of murder float through the halls, and she is quickly trapped between a scheming diva and a mysterious phantom. The Angel of Music. 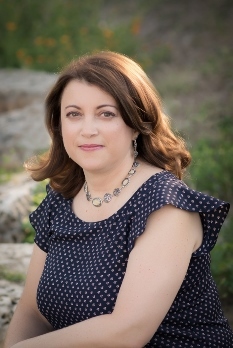 HEATHER WEBB is the author of historical novels Becoming Josephine and Rodin’s Lover, and the anthology Fall of Poppies, which have been featured in the New York Times, Wall Street Journal, Cosmopolitan, Elle, France Magazine, and more, as well as received national starred reviews. RODIN’S LOVER was a Goodreads Top Pick in 2015. Up and coming, Last Christmas in Paris, an epistolary love story set during WWI will release October 3, 2017, and The Phantom’s Apprentice, a re-imagining of the Gothic classic Phantom of the Opera from Christine Daae’s point of view releases February 6, 2018. To date, her novels have sold in ten countries. 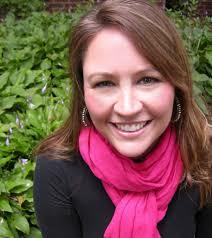 Heather is also a professional freelance editor, foodie, and travel fiend. For more information, please visit Heather’s website. You can also find her on Facebook, Twitter, and Goodreads. During the Blog Tour we are giving away two paperback copies of The Phantom’s Apprentice! To enter, please enter via the Gleam form below. 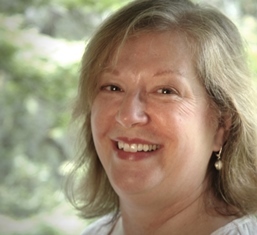 Suzanne is coordinator at Genesee Valley Educational Partnership and is an adjunct professor at Buffalo State College. She has a M.A. in English and Creative Writing and a M.S.Ed. in Career and Technical Education. Other publications include a poem in Jigsaw (2014), a short story and two poems in Jigsaw (2016), and a short story in Amaranth Review (2016). For more information, please visit Suzanne Zewan’s website. You can also find Suzanne on Facebook and Twitter. During the Blog Tour we will be giving away two paperback copies of Shadow by the Bridge to one lucky winner! To enter, please enter via the Gleam form below.